The wonderful GRAILS on what must have been their first UK tour, around the time "Redlight" came out. I uploaded a few blurry photos of them too. 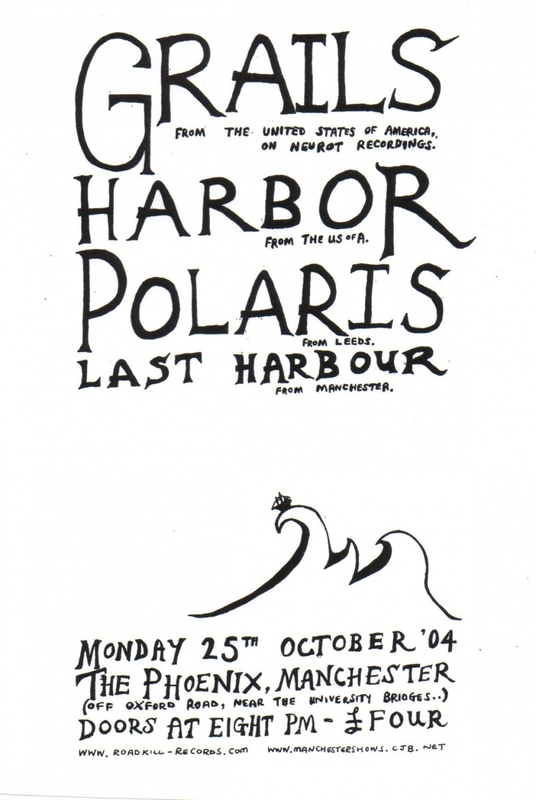 Leeds band Polaris pulled out, but NORTH CROSS opened and HOLY SONS (a side-project of the Grails drummer) were persuaded into playing a rare set before the headliners. Manchester band LAST HARBOUR are still going (as of 2016), I have linked their entensive discography below. This would have been before their "Hold Fast, Pioneer" (1st?) album came out.